An integrated (sometimes referred to as integral) sink is a popular option for both the bathroom and the kitchen. Why? Well, there's a lot to love about this setup. 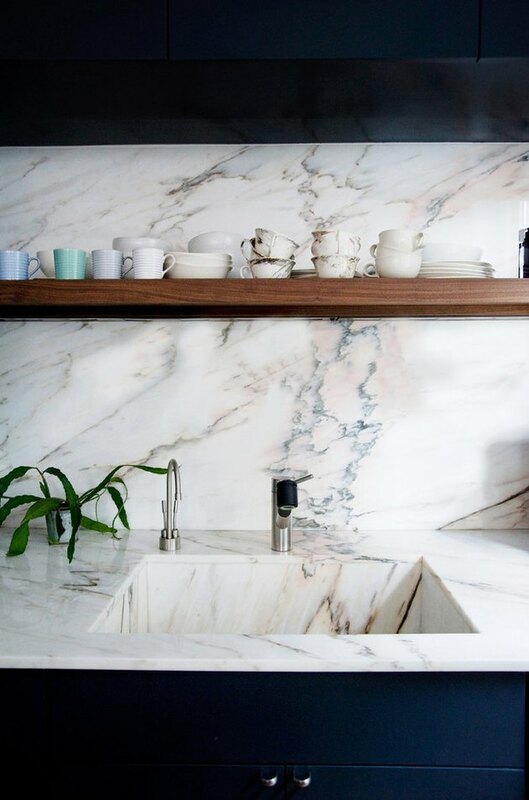 A countertop with a built-in sink out of the same material makes for a smooth, seamless, and contemporary appearance. It's also easy to clean. And the benefits don't end there. Of course, as with so many dwelling decisions, there are a few things to consider before committing. Scroll on for the pros and cons of an integrated sink. Pro: Integrated sinks are available in a wide range materials. 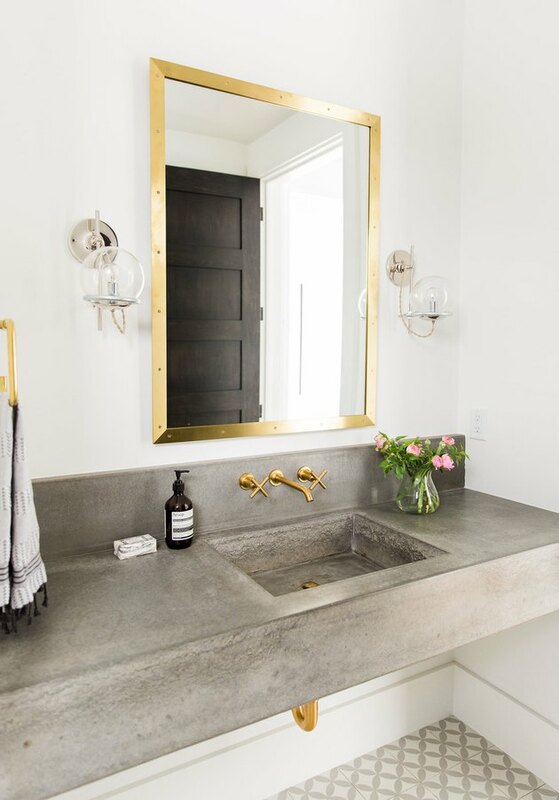 From concrete, to terrazzo, to marble, to stainless steel, integrated sinks are available in an amazing array of materials to fit any style sensibility. And that's before you factor in the fantastic finishes such as matte, gloss, and antique. Pro: Integrated sinks are completely customizable. 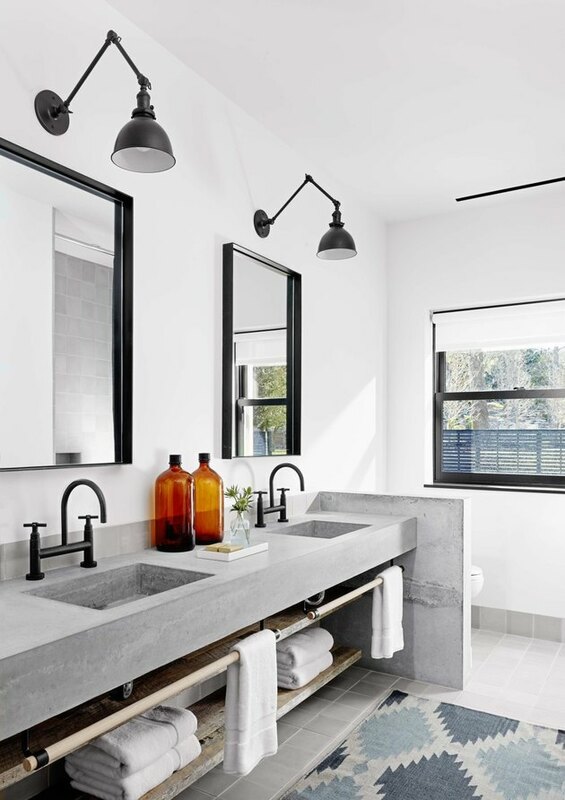 An integrated design allows for complete personalization like this cool industrial bathroom designed by Aamodt / Plumb. You can choose from a variety of materials, colors, shapes, sizes, features, and bowl styles. Pro: Integrated sinks simplify the design process. Instead of selecting a separate countertop and sink, an integrated setup streamlines the remodeling process. Choose one and you're done! P.S. 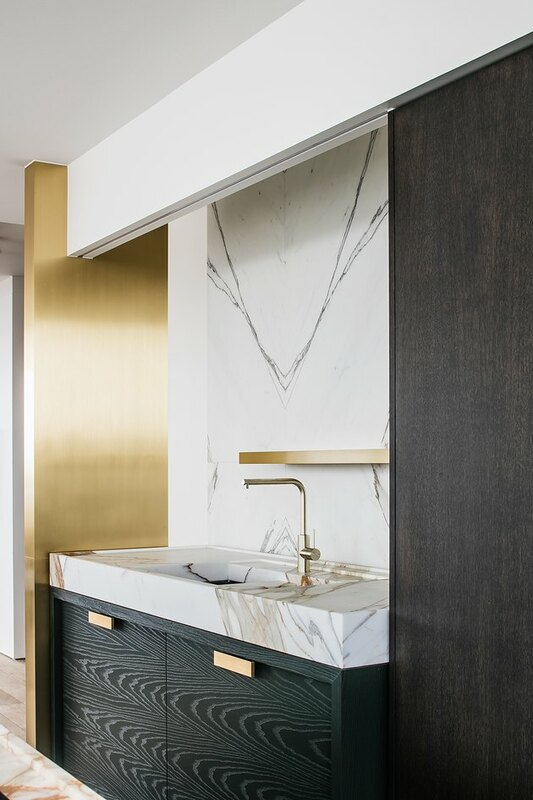 You can even coordinate with your backsplash or appliances (like this steal-worthy example by architect Joseph Dirand). Pro: Integrated sinks are quick and easy to clean. Because of the single-piece design, cleaning and maintenance is a breeze. Which means you can forget hour-long scrub sessions. All this stainless steel countertop and integrated sink need are a quick wipe-down. For this reason, it's a great choice for rooms with high traffic. Pro: Integrated sinks offer a seamless look. Love a sleek, modern aesthetic? 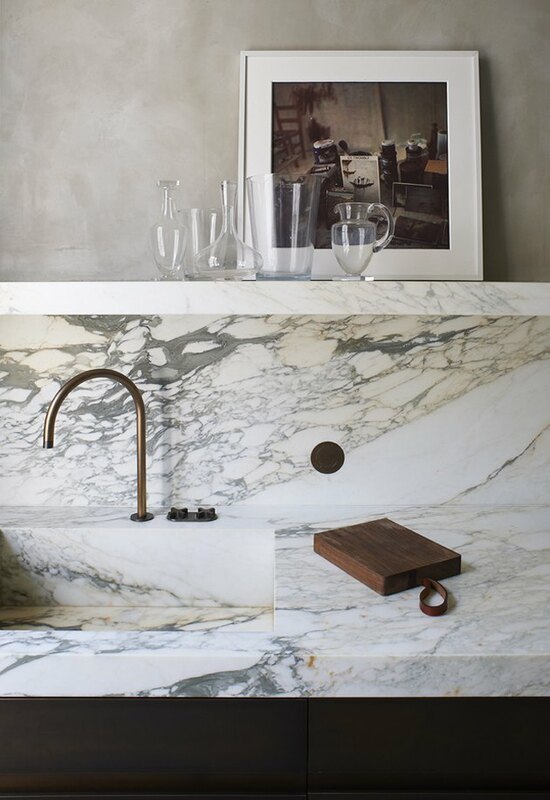 Consider an integrated sink, where the basin and countertop are made of the same material. 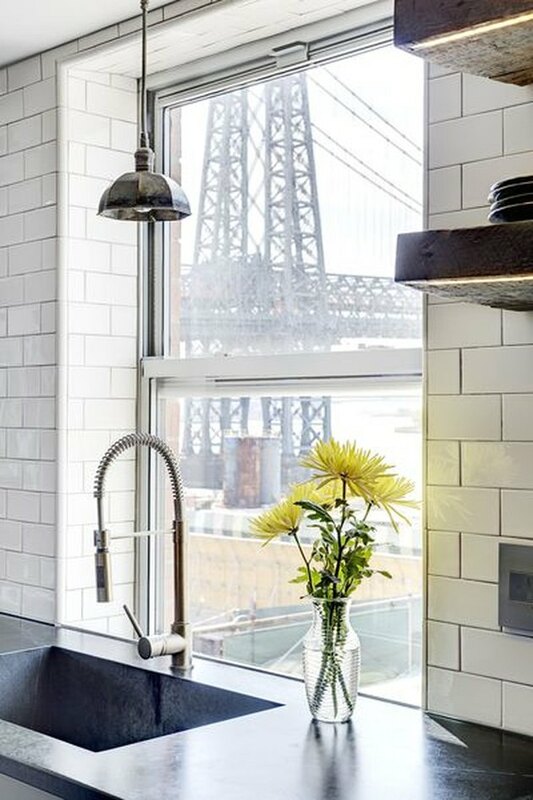 The result is a beautifully unified as seen in this stunning Brooklyn kitchen. Pro: Integrated sinks make a statement. Surely, you already know this, though it bears repeating: Words like "sleek" and "minimal" are a far cry from boring. And this polished concrete show-stopper designed by Studio McGee proves it! Pro: Integrated sinks look very high-end. 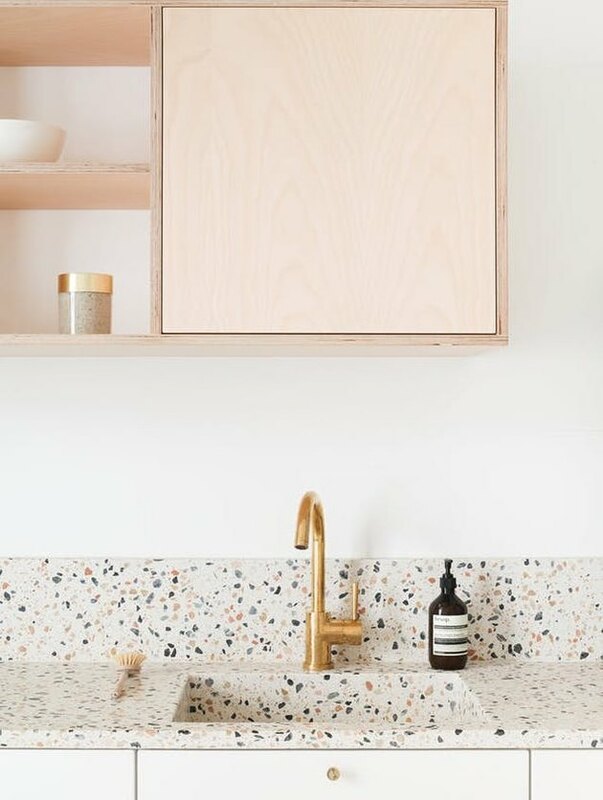 A far cry from the pink seashell sinks of the past, new models are made of luxurious materials (e.g., copper, soapstone, terrazzo, granite) and have a sophisticated, high-end feel. Con: Integrated sinks can be expensive. How gorgeous is this kitchen? 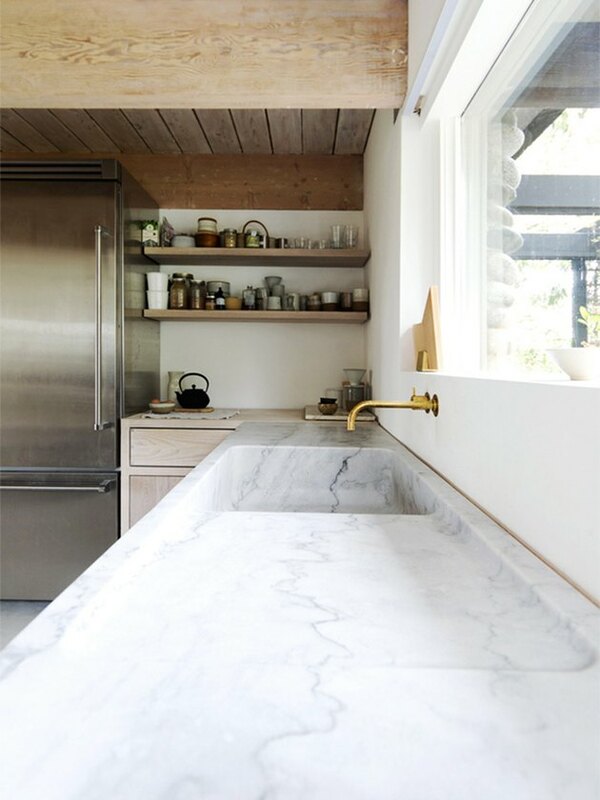 Designed by Canadian architects Scott & Scott, the sink, drainboard, and countertop are all carved from a single piece of marble. It's pure luxury — with a price tag to match. Between construction and installation a project like this can be a real budget buster. And don't forget the cost of sealing your stone, too. Con: Integrated sinks are hard to replace. 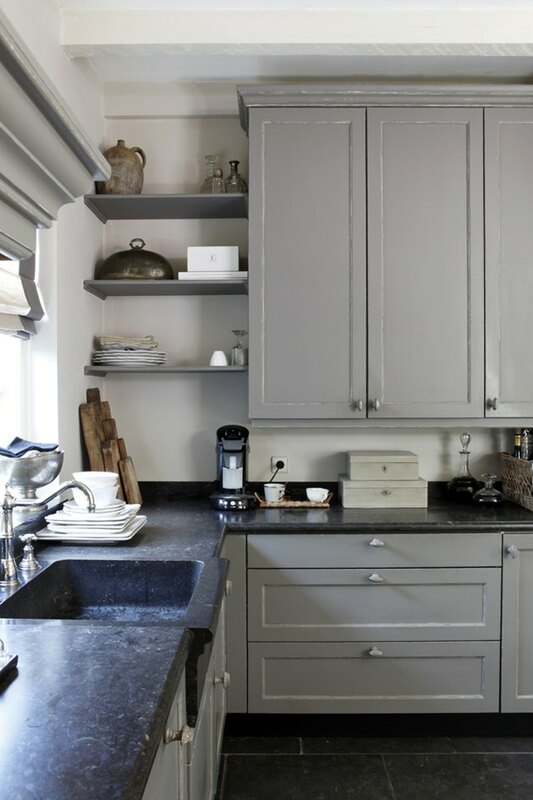 Let's say you have quartz countertops and a cast iron basin. 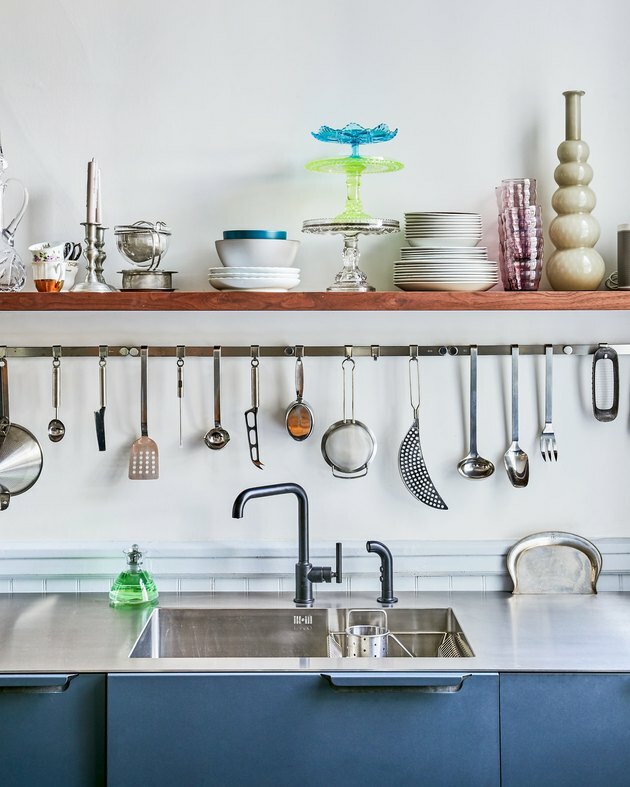 At some point, you decide, you'd rather swap it out for a farmhouse sink. Not a problem — unless everything is integrated, at which point you're not doing a replacement, but rather a renovation. Con: Integrated sinks can stain depending on the material. It's important to do your research. 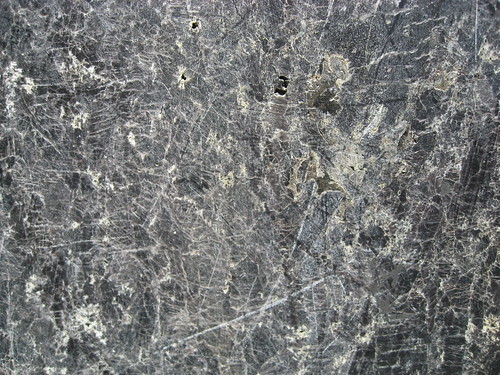 How will the material that you're considering patina over time? Will it be susceptible to scratches and stains? 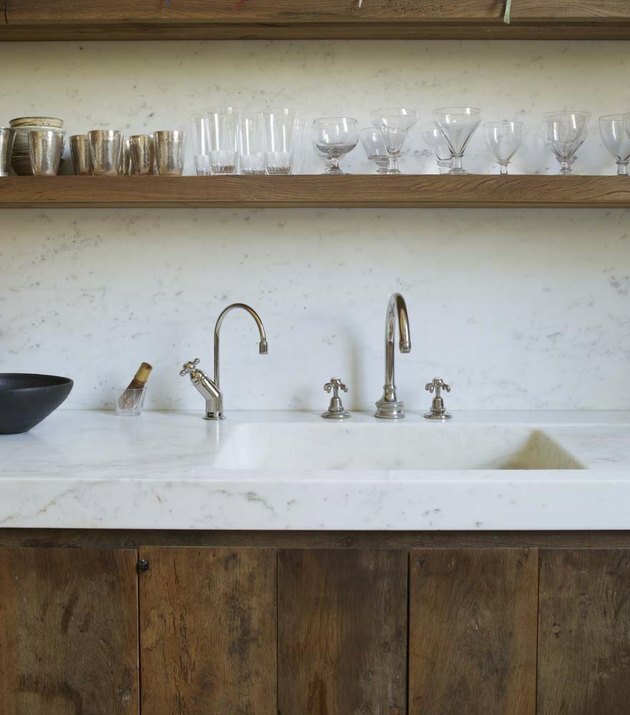 Some materials, like the marble in this kitchen designed by Rose Uniacke, are more porous than other types of stone so there is a higher likelihood it will stain.